This last Thursday our team went out to Libertyville, IL ( a town in Cook County, 37 miles outside of Chicago) to spread awareness to businesses about energy efficiency! We started our day by grabbing a quick cup of coffee from the town favorite coffee spot, Hansa Coffee Roasters, while also peeking around and doing an assessment of their building (maybe you’ll see some new TLEDs while sipping your cappuccino sometime soon *wink wink*). 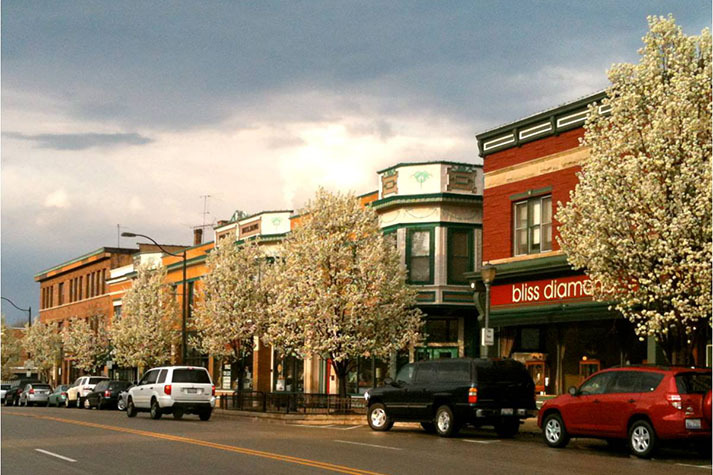 Dispersing all throughout Libertyville, we were able to stop in to a bunch of the downtown Libertyville businesses, and even performed a few assessments at a jewelry store, animal hospital, and two churches. We made sure to head to the “outskirts” of Libertyville as well to make sure all businesses got a chance to hear about the energy efficiency savings available to them, and to wave as we passed by our customer Matthews Fans Co. (Hi Chuck!). Needing to refuel, the Verde team made their way over to Pho Kho Gia Lai Vietnamese for some tasty Pho, as well as testing our talents on how to pour Pho into to-go-containers without spilling (spoiler alert: we were not successful). At day's end we all dispersed back home, but fear not! We have plans to return to try to help Libertyville improve even further on becoming as energy efficient as possible (and save big bucks on their energy bills). Is there an area you think we should head to next that could really benefit from our services? Let us know!